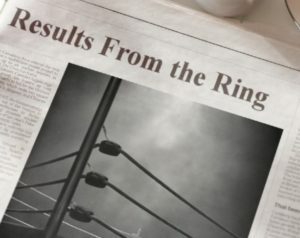 Serrano Makes History Andrade Victorious at the Garden! Friday January 18th, LIVE from Madison Square Garden Matchroom boxing presented a triple world title event. 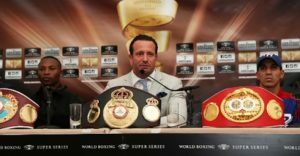 The card would be headlined by two division world champion Demetrius Andrade making the first defense of his WBO middleweight title against tough Russian Challenger Artur Akavov. 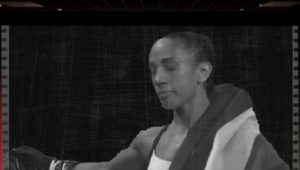 In the co-features Amanda Serrano and Eva Voraberger met for the vacant WBO female super flyweight world championship. The events third title bout was an IBF Super Bantamweight contest between TJ Doheny making the first defense of his belt against Ryohei Takahashi. In the main event Demetrius Andrade would be given a tough battle from little known but world traveled Artur Akavov, This would be the second attempt at winning the WBO middleweight belt for Akavov, in 2016 he would lose a close decision to then WBO middleweight title holder Billy Joe Saunders. The come forward pressure style of Akavov forced Andrade to use his entire skill set until a later rally by Andrade gained him a twelfth round TKO victory. With the win Andrade would improve to 27-0(17) while Artur Akavov now stands at 19-3 (8). This win should set up a unification bout for Andrade with either either the divisions IBF title holder Daniel Jacobs or WBC and Ring title holder Canelo Alvarez. Either of those contest because all three fighters have contracts with DAZN, can and should be easily made. In the evenings co-feature Amanda Serrano made history after dispatching multi-division world champion Eva Voraberger in under a round. The contest began with Serrano applying pressure on Voraberger who answered back with several counter shots of her own. 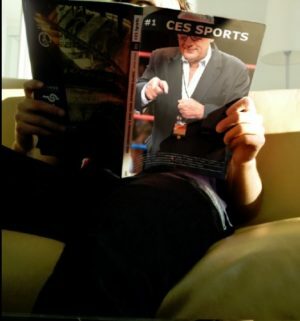 As Voraberger began to come forward, Serrano landed a left hook to the liver of Voraberger ending the contest at thirty five seconds of round one. With the win Amanda Serrano boxing’s only female fighter to win world titles in seven weight classes, improved to 36-1-1 (25). This would be the sixth loss for Eva Voraberger who now stands at 24-6 (11). This victory should set up boxing’s first genuine female “Super Fight” between Amanda Serrano and unified lightweight champion Katie Taylor. 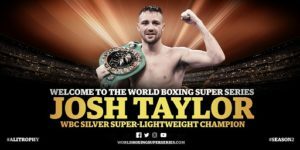 That of course assuming Taylor the divisions WBA and IBF champion defeats WBO division champion Rose Volante when they meet in March. When TJ Doheny stepped in against Ryohei Takahashi to defend his IBF Super Bantamweight world title, I don’t think he was expecting a tough outing. The light hitting but slick Japanese challenger though as with previous opponents he has lost to, frustrated Doheny for the majority of the night until finally being dispatched at 2:18 of the eleventh round. With the win TJ Doheny improved to 21-0 (15) while Ryohei Takahashi now stands at 16-4-1 (6). Welterweight- Chris Algieri 23-3 (8) def. Daniel Gonzalez 17-1 (7) via UD 10. Welterweight- Julian Sosa 13-0-1 (5) def. Dieumerci Nzau 11-7 (8) via TKO 4. Heavyweight- Nkosi Solomon 1-1 def. Rodriguez Cade 2-4 (2) via UD 4. Welterweight- Reshat Mati 3-0 (2) def. Benjamin Borteye 4-4 (4) via TKO 1. Welterweight- Cornell Hines 4-0 (2) def. Farhad Fatulla 1-3 via MD 4. A message from Jimmy Burchfield Sr.